This note is sent to our paid subscribers on 2nd Jan 2019. First of all, wishing you a very happy new year. We launched our services in the mid of 2018. As you would see below, we did fairly well during this short window of 5 months. It is too early to evaluate our performance when equity investment is to be seen from a long-term perspective. One of the founding principles of Aurum is “transparency and interest of subscribers first”. The early subscribers will recall our cautionary notes when we launched our services. Keeping in mind the market valuations and expectations of more correction, we decided to defer our first recommendation. We did not recommend any stocks for several weeks and instead asked those early subscribers to have patience. When we delayed the first recommendation, we also decided that the subscription period for our first batch of subscribers will not start until they receive our first recommendation. None from our subscriber family had asked for this. But as we mentioned that for us the interest of our subscribers is always paramount even if it means a loss of few weeks of subscription fee. 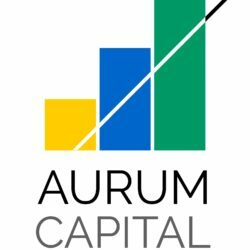 Let’s have a quick glance of Aurum Capital performance during last 5 months. 2) We take the weighted average price of the recommendation. We do not and will never take the lower price of the band while calculating buy. Similarly, we do not and will not take the upper price of the band while calculating gains for the exit. This, we believe, avoids any bias for artificial gains. It rather reflects performance close to the reality. 3) This outperformance is despite our exiting one of the stocks at a loss where we were the one who discovered a serious corporate governance issue in that company. 4) Out of five recommendations in Current Recommendation section, two are still in buy range. 5) Please always follow our detailed research and subsequent updates on the company provided under Current Recommendation section. 6) If you have any questions then you can raise them in Investor Forum section for paid subscribers. These are always responded by the founder and not outsourced to any executive. Our current list of stocks is in the small-cap category. As you would notice that our conservative and cautious approach paid a significant dividend. We could outperform the market during this turbulent period. We are thankful to each one of you for your continued support and confidence in us. 2018 was a tough year. There are domestic political and some global economic risk in 2019. But on the domestic economic front, we believe that our corporate performance will start improving. If we get a stable government or a government that is not against the policy of liberalization we should be fine. Considering this, 2019 is expected to be a better year. In today’s time, we do not believe that anyone will go against these policies. The degree of implementation can vary. The stock market performance in long-term is more aligned to the corporate performance than the political and we should stay focused. We believe that the valuations of stocks of our sphere are much favorable than what they were a year ago. We will continue to hunt and pick the stocks that suit our criteria of investment. We are almost ready with the new Current Recommendation page and there will be search feature in the Investor Forum. This should be launched in the next few days and we will inform you. We will continue to make more changes at the back end to enhance the subscribers’ experience and security of the system. The founders’ contribution to equity investing is chronicled here. An article in Economic Times by Jiten Parmar of Aurum Capital where he shares the sectors he thinks can outperform in 2019 and beyond.